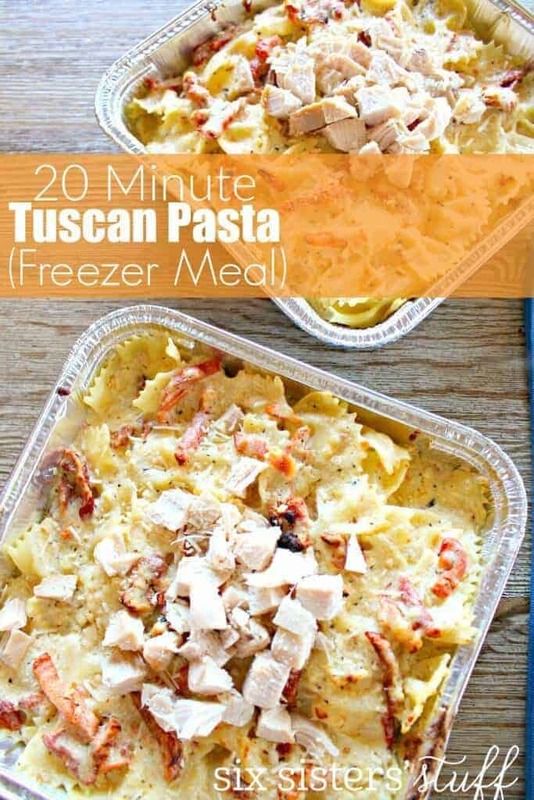 Freezer Meals can save your sanity! I am now convinced that each season of the year and each season of life is busy. Are you like me and do you keep thinking that things will slow down and I will have loads of time to get delicious meals on the table. Now that reality has set in, I did a little research and find some freezer meals that I can make on the days that aren’t so intense so we can actually have a good dinner on the table on the crazy days. I have combed Pinterest and am bringing you some recipes that will help both you and I at dinner time! I love the flavor of sun dried tomatoes and this 20 minute Tuscan pasta from Six Sister’s Stuff would definitely appeal to every member of my family! 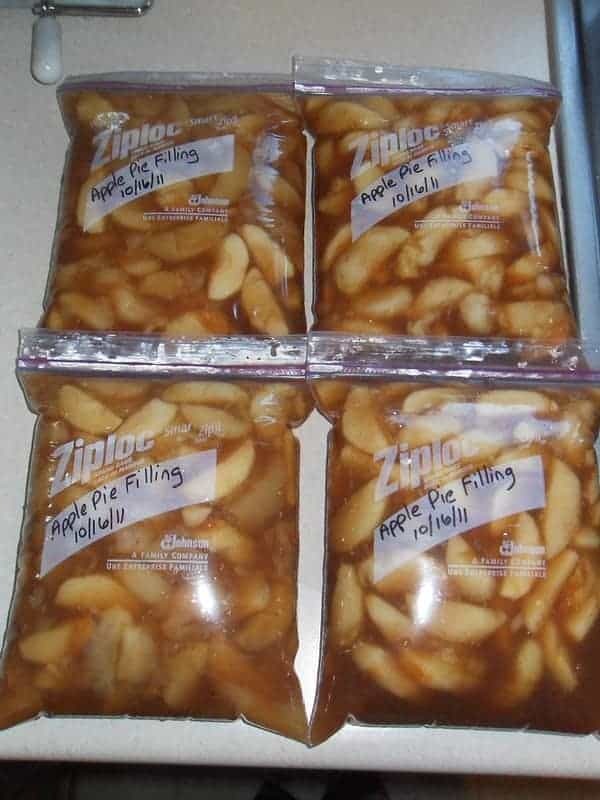 This Apple Pie Filling is genius! You can make it all at once and freeze it for up to a year and then, when ready to make a pie, defrost and fill your pie up! Smart School House has the full recipe! 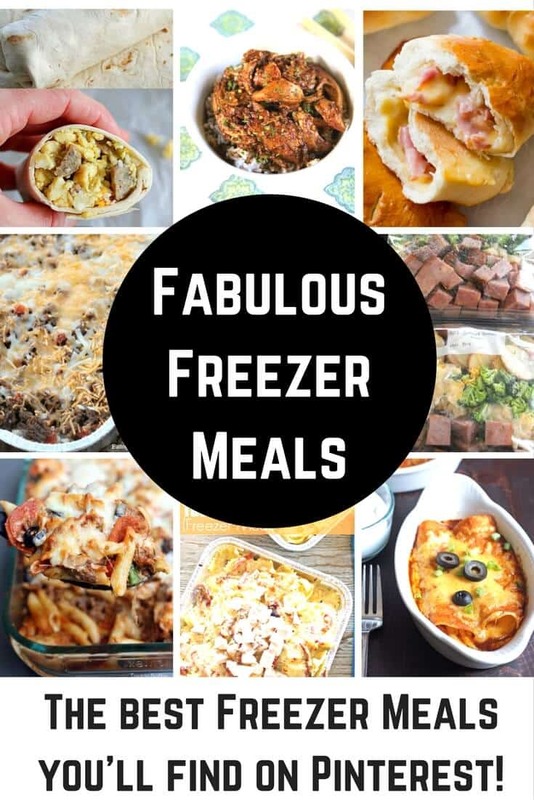 Freezer meals aren’t just for dinner any more! 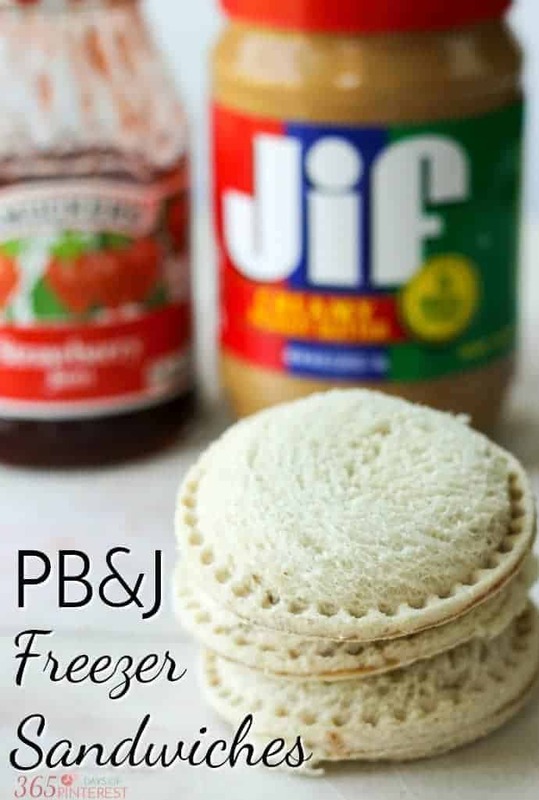 Make your school mornings easier with these pre-made DIY Uncrustable Peanut Butter and Jelly Freezer Sandwiches! 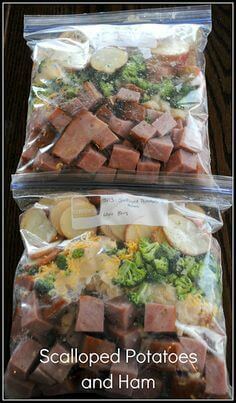 Just make a bunch at one time, freeze them and pull them out and throw them in the lunche boxes!! 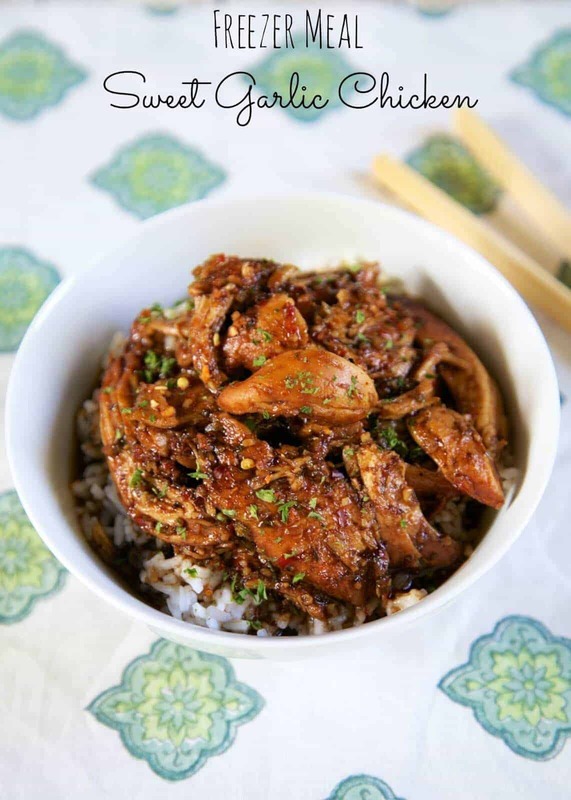 Plain Chicken brings us a recipe that is anything but plain… Freezer Meal Sweet Garlic Chicken and it looks to die for! 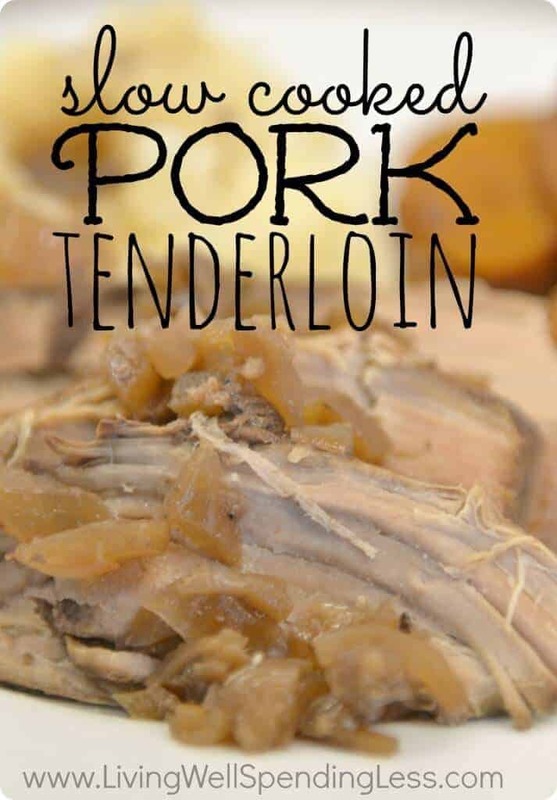 Living Well Spending Less brings us a recipe for Pork Tenderloin that goes straight from the freezer to the slow cooker. No oven needed! I am all about some bulk cooking when I can and this Broccoli Chicken Bake by Money Saving Mom looks like a keeper! Here is a great meatless option that makes enough for two meals. 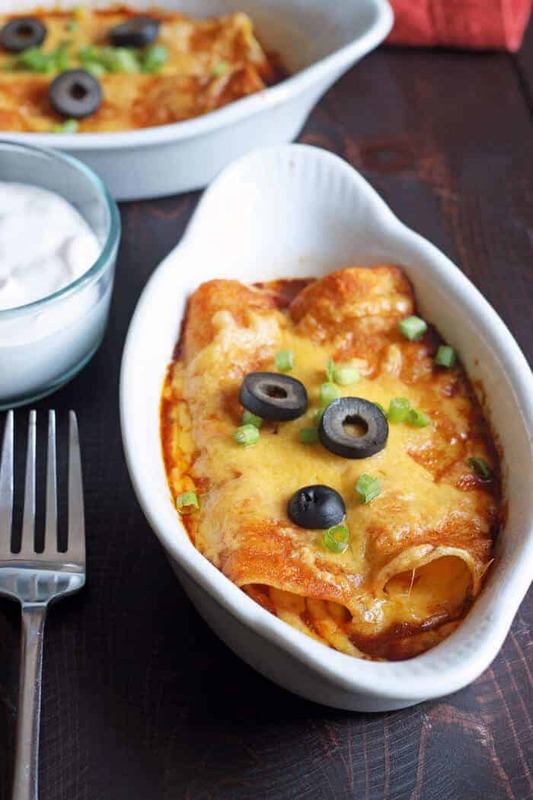 You can make these Cheese Enchiladas by Life as a Mom and serve one and save one for later. 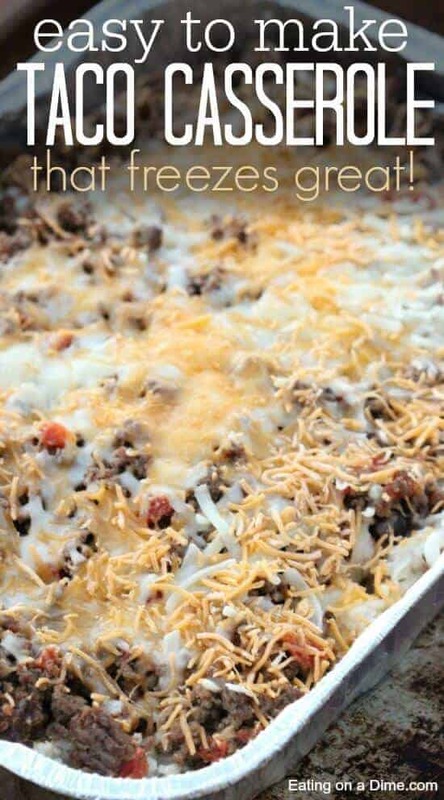 This easy and delicious Taco Casserole by Eating on a Dime freezes so well and tastes SO good! 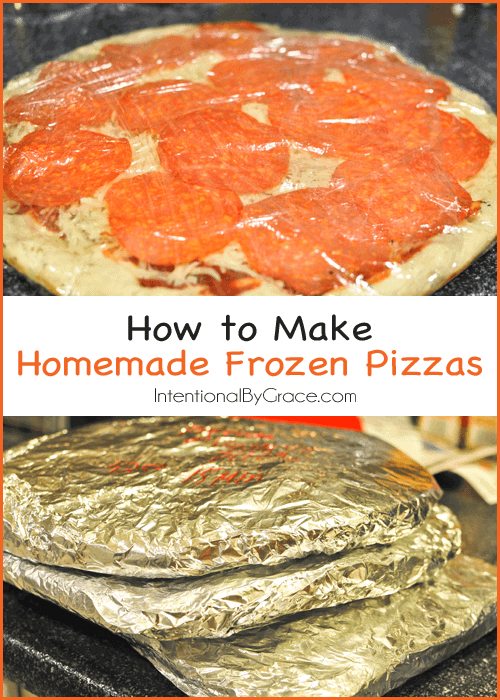 Intentional by Grace shows us how to make our own frozen pizzas. Not only do they look delicious, but you know that they have fewer preservatives than store-bought. Sally’s Baking Addiction hits it out of the park with these homemade ham and cheese pockets. 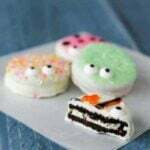 My kids would devour these! 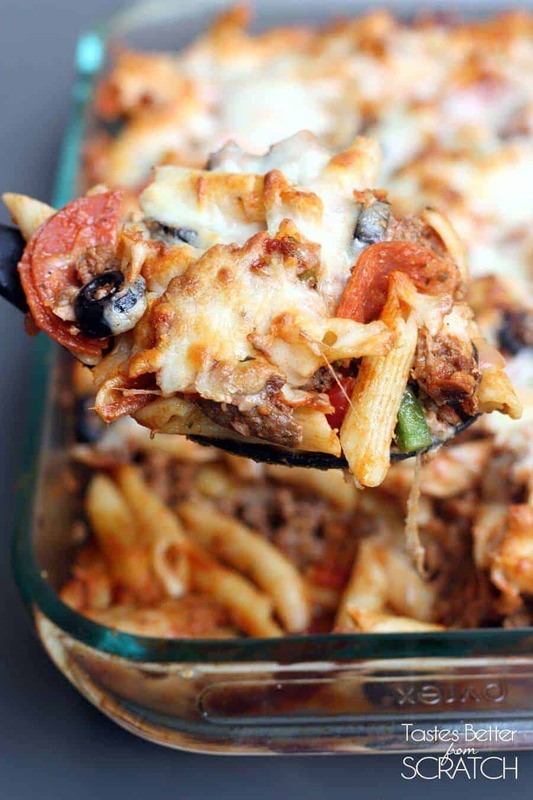 Are you drooling over this pizza casserole? Tastes Better from Scratch always makes a good meal and this one would freeze so well! Not only do these scalloped potatoes and ham look great, Six Cents gives us the 101 on freezer cooking. Great article! I love many recipes that have a short list of ingredients, but this 5 Ingredient Beef Stroganoff that you can freeze by Nums the Word has my complete attention. Packed with protein, these freezer breakfast burritos by Yummy Healthy Easy are perfect for on the go mornings or even for dinner! Looks great and like a lifesaver! How do I get the recipes? Looks like most of them are on Pinterest or you can click on the name of each recipe website. That contains the link. This is so helpful. We get so busy and end up eating out. Ill try these recipes. How do I get recipes and grocery list? She hasn’t centralized the recipes or created a list that I can see. Looks like she just posted the website links (contained in the website’s name) or a link for Pinterest. Hi Vera – if you click on the website links – it will take you directly to the sites hosting the recipe! Yummy!! Can’t wait to try! Any chance of getting 20 freezer meal recipes that are low fat, grain free and dairy free? Some of us can’t eat all that high carb, artery clogging, inflammation causing stuff. Exactly what I was thinking. Same reason couponing does not work for me. We eat healthy and have several food allergies in the family. My friends and I recently did a “whole 30” crockpot day- we went home with 30 freezer bags/30 different healthy meals each. It is from monesavingmom.com and gives the shopping list too. Most were good, a few were great, and some we were just thankful to eat because we knew they were healthy. 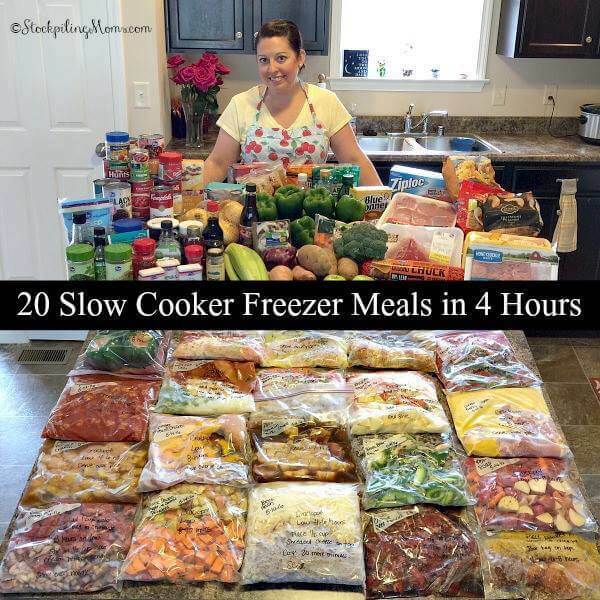 Sorry, that’s moneysavingmom.com or search Pinterest for The Ultimate Whole 30 Slow Cooker Freezer Meal Plan. 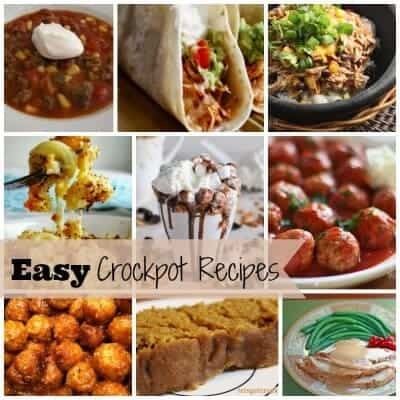 moneysavingmom.com has a free, 30 Day Freezer Meal plan for crockpots that is Whole 30, so definitely healthy. Vera, I clicked on each individual picture. I didn’t see any one, central grocery list. Go to allrecipes.com. Find these or similar recipes and you can adjust servings. It will make a grocery list for you. I would love to try this! have always thought of doing this but just haven’t! All your recipes look wonderful. Would learn to do this. Am I missing something? I thought this was a “how to…” but I don’t see a list or directions or anything. 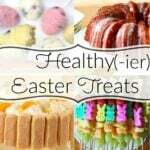 There are links to all of the recipes – let me know if there are any you cannot find.